He was born and brought-up in a farmer’s family in a remote village in Begusarai District of Bihar. He attended a number of different schools as he moved up through his education including Jawahar Navodaya Vidyalaya, Begusarai and Jawahar Vidya Mandir, Ranchi. 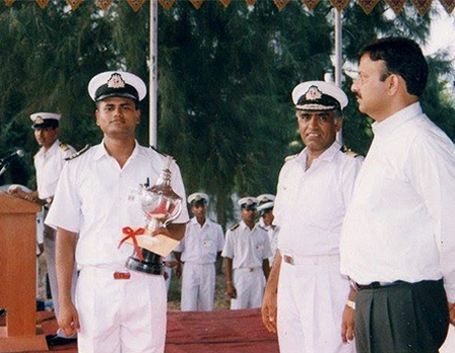 He completed his 10+2 education as well as cleared Indian Institute of Technology (IIT) Entrance Examination in the year 1999 but he decided to take shipping as career and so, joined Training Ship Chanakya (Mumbai). From there, he got Graduation Degree in Nautical Science in the year 2002 and joined an Italian Shipping Company ‘Finaval Spa’. After graduated from T.S. Chanakya, Mumbai, he worked in Shipping (Merchant Navy) in a company called Pentagon Marine Service from 2002 to 2008 continuously, during which he was promoted to the rank of Chief Officer in 2007, a managerial rank officer on ship. But in 2009, discontinued his job and came to New Delhi to prepare for civil services examination. His love for sea attracted him to come back to ship even during civil services examination preparation and he used to go to ship for few months after writing mains examination. His last sail was in 2011 after declaration of final result and his selection in civil services examination. During his job at sea, he travelled across all the oceans of the world and also visited all the continents except Antarctica. Working with Europeans gave him good experience in Human Resource Management. Later, the zeal to serve the people of his own country motivated him to quit the job in shipping and join civil service. So, he joined Indian Administrative Service in 2011 after clearing civil services examination. He belongs to Indian Administrative Services of 2011 Batch. Initially, he was allotted Sikkim State as his cadre, where he worked in the state as Sub-Divisional Magistrate (SDM) of Namchi Sub-Division of South Sikkim from August 2013 to February 2014 and then as Sub-Divisional Magistrate of Soreng Sub-Division of West Sikkim till May 2014. Then he came to New Delhi in June 2014 to work with “Minister of State for Rural Development, Panchayati Raj, Drinking Water & Sanitation, Government of India” “Sri Upendra Kushwaha” as his Interim Private Secretary and worked there for a short period of about three weeks. He came back to Sikkim, when the proposal for his appointment as Private Secretary was not approved by the Government due to some reason. For next three months, he worked as Director of Indian Himalayan Centre for Adventure and Eco-tourism (IHCAE), an Institute of Adventure Tourism under ministry of Tourism, Government of Sikkim before getting transferred as Additional District Magistrate of North District of Sikkim, where he worked till May 2016. In May 2016, his cadre was transferred from Sikkim to Uttar Pradesh, where he is posted currently as Chief Development Officer (CDO) of Sitapur District. After joining Indian Administrative Services in 2011, he got Sikkim as his Cadre and subsequently, he came to know that the state was devastated by Sikkim Earthquake in September 2011, which took many lives. He decided to learn mountaineering, when he came to know that local mountaineers also helped in rescue operation during the earthquake. The wish to reach and serve the people at grass-root level in emergency situation like earthquake motivated him to learn mountaineering, which subsequently, developed into his zeal to climb the highest peak of the world, Mt. Everest. Born and brought up in the plains and having spent long time at sea, he was totally unfamiliar with hills and mountains but once decided, he started preparing for climbing and never looked back. He came to Sikkim in July 2012 for one year of District Training, which is part of overall training of IAS Officers before joining respective cadre state as full-fledged officer. He did training courses from Himalayan Mountaineering Institute (Darjeeling) after joining Sikkim and continued his preparation for climbing as well as putting effort for getting government sponsorship after H.M.I. training along-with his district training in Sikkim. With all these efforts, within one year of district training period in Sikkim, he successfully reached on the top of the highest peak of the world on 19th May 2013. Mt. Everest was his first peak, which he climbed in spite of advice from many people that it’s very dangerous to try Mt. Everest at first instance and so, he should first try few smaller peaks. He is fond of long distance trekking but the first trek of his life was around hills of Mussoorie during training in IAS Training Academy in 2011. Later he continued his trek during district training in Sikkim. He has done extensive trekking in North Sikkim as well as West Sikkim. In North Sikkim, he has trekked extensively and has covered on foot the distance of about 125 km from Mangan (district head quarter of North Sikkim) to last Army post called “Bunker” near China border. Similarly he has extensively trekked in West Sikkim and has covered last trekking spot near Nepal Border. He also completed Sandakphu Trek in Darjeeling District of West Bengal, which is located at India-Nepal border and is the highest point of West Bengal. After returning from Everest in 2013, he continued climbing also as and when he got time and opportunity in addition to his regular job in “Indian Administrative Services”. Subsequently, he climbed Mt. Thingchenkhang (6010 Mtr.) in November 2014 and B.C. Roy Peak (17800 feet) in Feb 2015 as part of Pre-Everest Expedition for ‘All India Services Everest Expedition 2015. Both peaks are situated in West Sikkim Himalaya. To commemorate the Golden Jubilee Year of first Indian Ascent of Mt Everest in 1965, an “All India Services Expedition to Mt. Everest” was organized in 2015. The Expedition was organized by Indian Mountaineering Foundation (IMF), the apex body for mountaineering related activities in India under Ministry of Youth affairs & Sports, Government of India. The aforesaid expedition was recognized and supported by “Ministry of Youth affairs and Sports” as well as “Ministry of Personnel and Training”, Government of India. The Team comprised of five All India Services Officers from five different states of India. The leader of aforesaid expedition was Mr. Ravindra Kumar, an IAS officer of 2011 Batch from Sikkim. He had already climbed Mt. 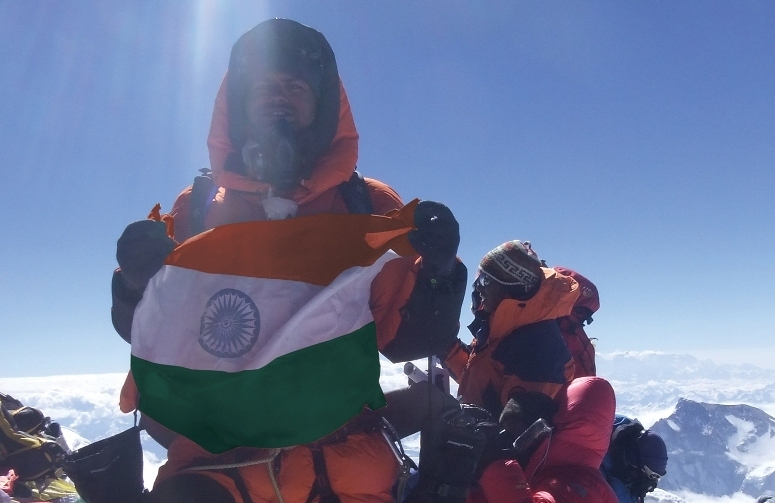 Everest in May 2013 and became the first IAS Officer of India to climb the highest peak of the world. This was first time in India that a group of officers from “All India Services” had joined hands together and was committed to take such a courageous venture. Expedition was also first of its kind to climb the peak of Mt. Everest carrying the message of ‘Swachh Bharat Abhiyan’ to raise awareness about health and hygiene in the world from the world’s highest peak. 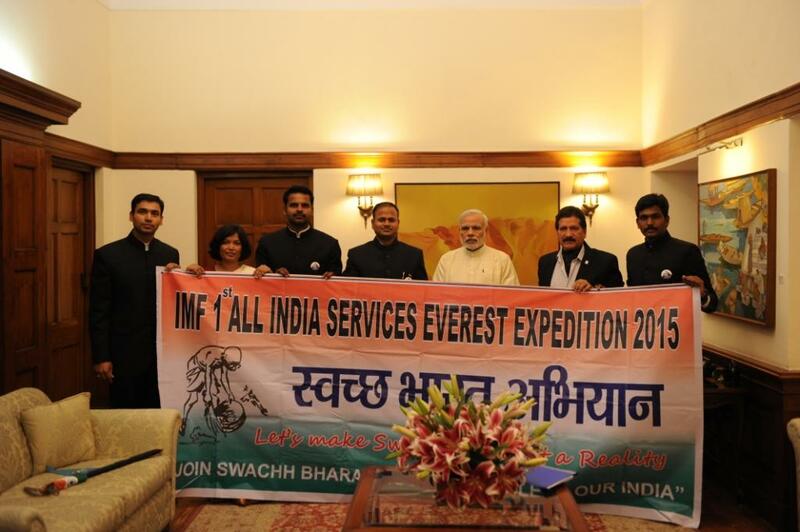 The Expedition was flagged off by, Hon’ble Prime Minister of India, Sri Narendra Modi, on 27th March 2015 in New Delhi. After flag off, the expedition team arrived Kathmandu on 30th march 2015. The team commenced trekking in 1st week of April 2015 and reached Everest Base Camp at 17600 feet around mid April. 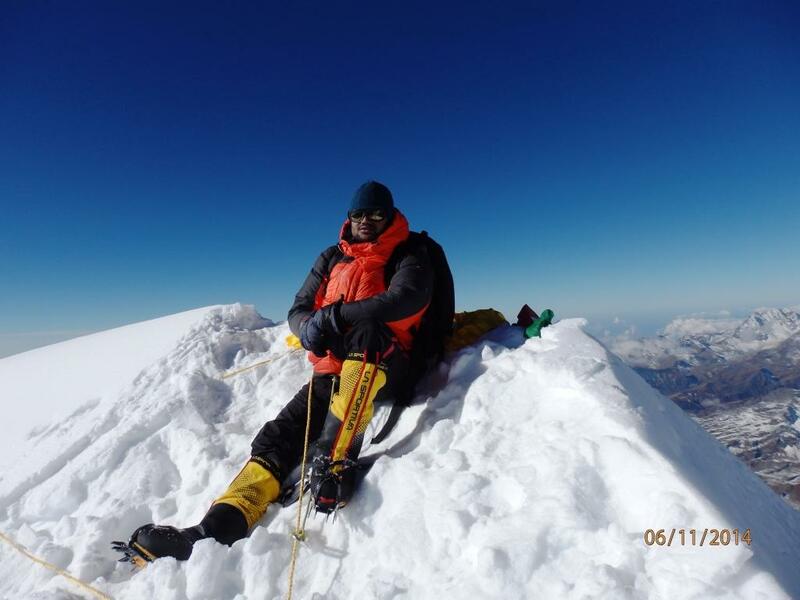 The team was scheduled to attempt the summit of Everest in second half of May 2015 after completing a series of acclimatization in the mean time. But Nepal earthquake and resultant avalanche shattered the attempt by killing and injuring many people at Everest Base Camp. Team Leader Mr. Ravindra Kumar, with his tremendous inner courage, managed to rescue few lives along with his team advisor Mr. Kazi Sherpa in extremely dangerous post avalanche scenario at Everest Base Camp and Himalayan Rescue Association appreciated his effort for the same. 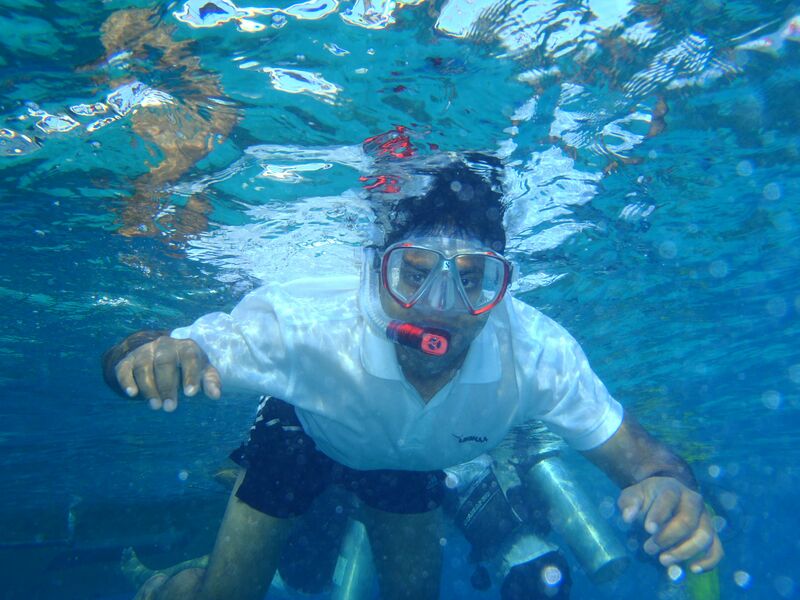 Other than mountaineering, he has been keenly interested and has taken part in many other sports and adventure activities like bungee jumping, flying fox, para sailing, SCUBA diving, skin diving, horse riding, river rafting etc. in the past. He is also “Black Belt in Karate” which he had achieved during his college days in Mumbai. He has also been a good swimmer in the past and has won many prizes in different styles of swimming during his college days. Mr. Ravindra Kumar is fond of jogging, doing yoga and meditation, playing chess and giving motivational speeches. 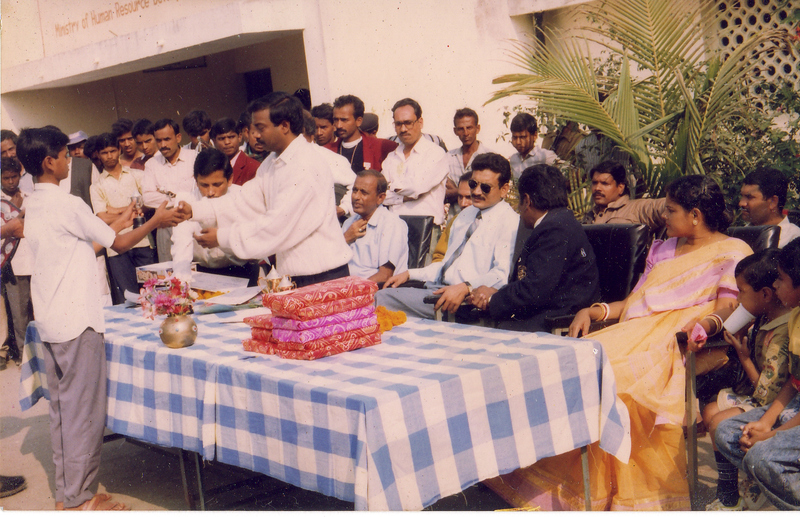 He won many prizes in speech competition during his student life. After returning from Mt. Everest, he has been giving motivational speeches at many platforms to motivate the youth of the country to come forward and to rise high in life. He has given lectures in some of India’s top training institutions like I.A.S. 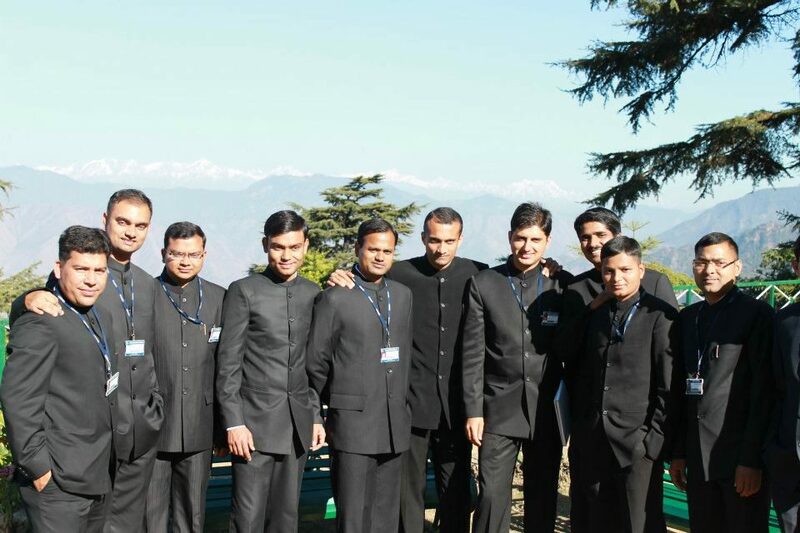 Training Academy LBSNAA at Mussoorie, National Academy of Customs, Excise and Narcotics (NACEN) at Faridabad etc. 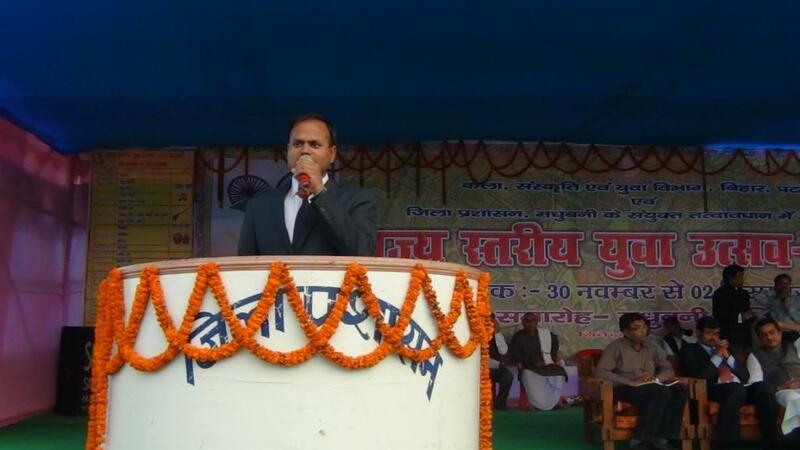 He has also motivated thousands of youths during State Youth Festival in Bihar, where Government of Bihar invited him. Other than sports and adventure activities, he has been actively contributing in the field of social welfare and has taken many initiatives in the past to help poor and helpless people. For example: He organized voluntary fund contribution campaign on Facebook and collected and handed over Five Lakhs & Seventy Thousands Rupees to help the aggrieved family of two students, who lost their life after getting selected into Civil Services Examination. While undergoing training in I.A.S. Academy Mussoorie; he organised many blood donation camps to collect blood, which would be used in emergency to save life of many people who need it on urgent basis. He also organized many health camps for poor children in the vicinity and collected fund worth One Lakh & Twenty Six Thousands Rupees to support the higher education of children of poor staffs employed in I.A.S. Academy Mussoorie.